Offering tight indoor maneuverability and smooth outdoor performance, Golden’s popular compact Buzzaround Lite scooter was made for you. 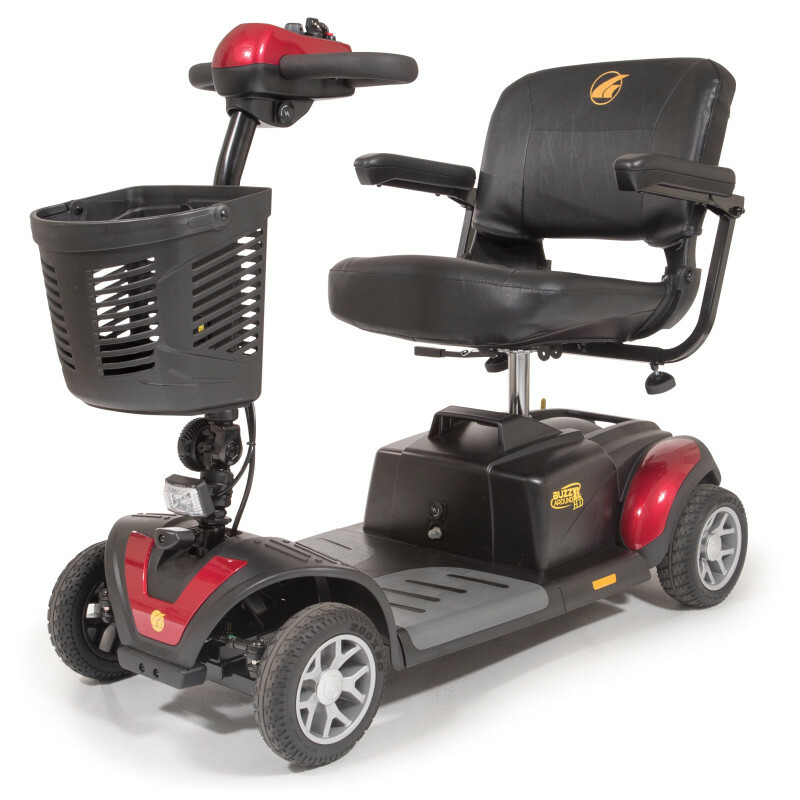 Now standard with a Delta tiller with a wraparound handle and a larger, more comfortable seat, its “Pop! Pull! Push!” wireless disassembly makes transporting easy. As your mood changes, you can change the look of your scooter with our three sets of snap-on shroud panels in Red, Blue and Sahara. The all-new Buzzaround XL Scooter offers a 300 lb. weight capacity, a generous seat size and completely wireless disassembly. Available in Red and Blue, the XL comes standard with a Delta tiller for easy steering, and a battery charging port is conveniently located on the tiller under the control panel.